NSA conducted previous audits, benchmarks and negotiations for this financial services client, obtaining successful results in each previous engagement. NSA provided support for network review and negotiations for the last three negotiation cycles. The client’s network continues to evolve resulting in increased bandwidth requirements as well as growth in voice and wireless services reaching their commitment levels early allowing a mid-contract market review. NSA consistently provided market leading results through careful analysis and obtaining rates equal to enterprises several times larger with similar network structures. We issued an RFP for all services: voice, data, wireless and hosting as the client’s needs were changing and new technologies such as SDN and SIP wanted to be examined. Being highly engaged in the process and knowledgeable of the tactics agreed with the strategy. The client/vendor relationship is mutually beneficial, the vendor is supportive and responsive, and the client is fair and consistent in its business requests. 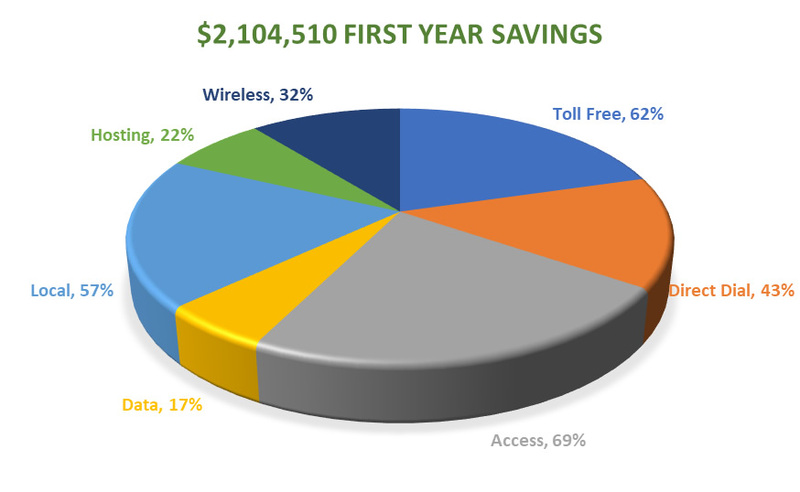 The client team and NSA achieved significant network cost reductions in wired and wireless. Terms and conditions guarantee the savings for the life of the contract and limit the variable financial liability most enterprises experience over the course of a contract term. The savings results were across all categories some as great as 62% representing over $2.1M in annual savings and an overall reduction of 41.5% in total annual network spend. The annual savings of $2.1M is equivalent to adding over $32M of new sales revenue per year and over $98M over the course of the three year term. An insurance and financial services firm with over $5M annual spend across seven critical categories. 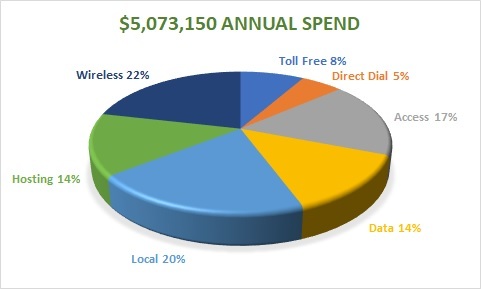 Resulting in savings across all categories some as great as 62% representing over $2.1M in annual savings and an overall reduction of 41.5% in total annual network spend. Based on the client’s net profit margin, the engagement results represent the equivalent of over $32M in new annual sales and more than $98M of new sales revenue over the term of the negotiated agreement.